These days it is popular to have your wedding ceremony somewhere in the great outdoors. There are lots of gorgeous wedding ideas to inspire you. Its not that hard to make your outdoor area picture perfect. We’ve put together a few different wedding ideas to help you along your way. Lets face it, most brides have dreamed of their perfect wedding since they were little girls. Many couples are now choosing an outdoor wedding surrounded by their family and friends. A simple thing of changing the way material sits on your arch can make a difference in the whole look. 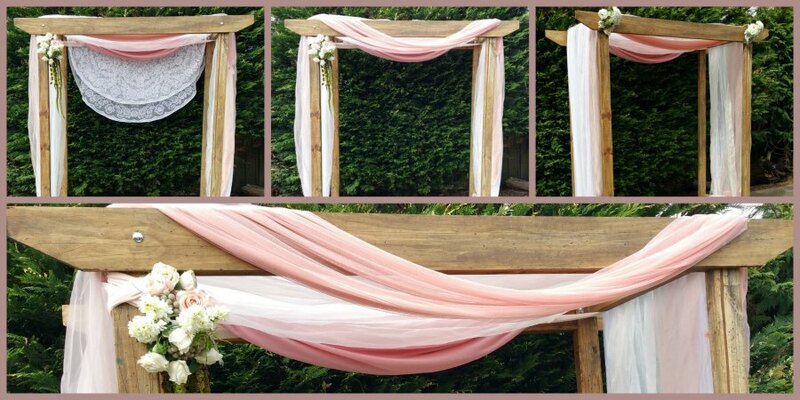 Our Wedding arches can be draped in many different ways. Wooden Wedding Arbour made with weathered timber. 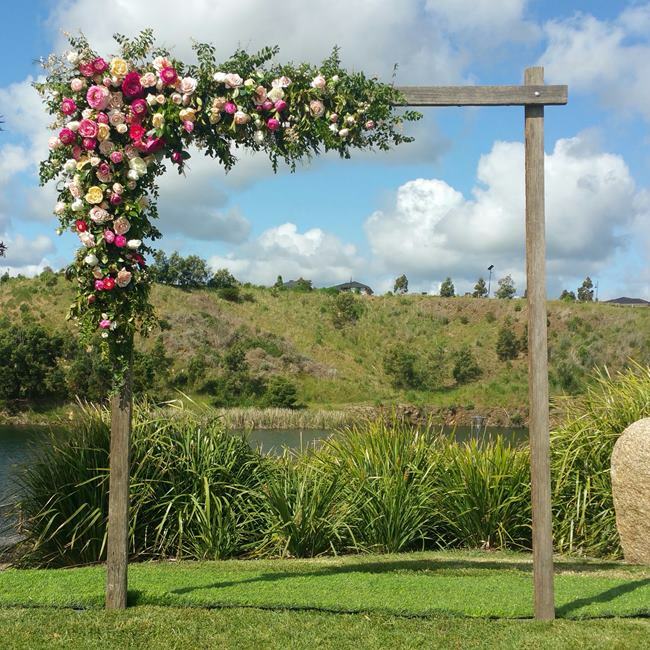 This Wedding arbour looks amazing with flowers! 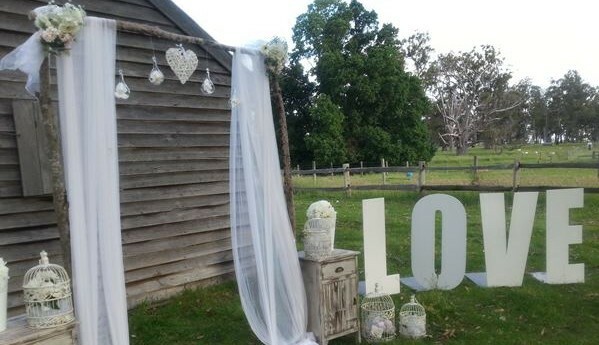 Rustic Timber LOVE letters. 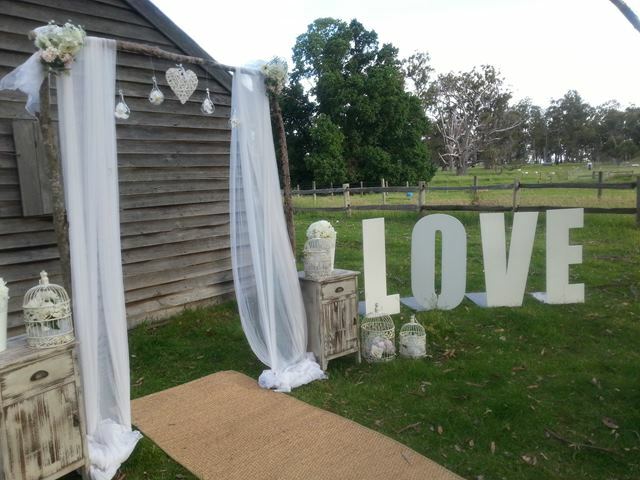 These giant LOVE letters are 1.5 metres tall and free standing! Perfect for your Rustic wedding decorations. 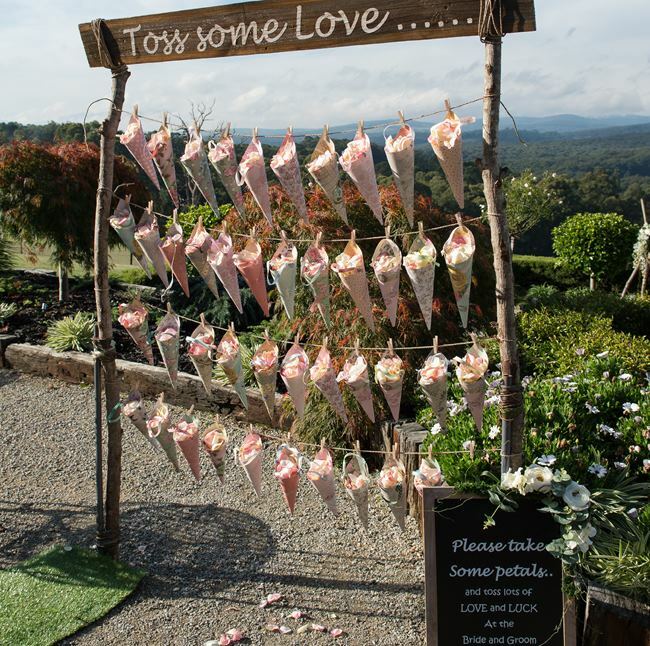 The Confetti cone stand is one of our favourite wedding ideas. A great way to display your confetti cones! Your guests can help them selves to a cone of fresh rose petals when they first arrive. Enchanted Wedding Arbour. 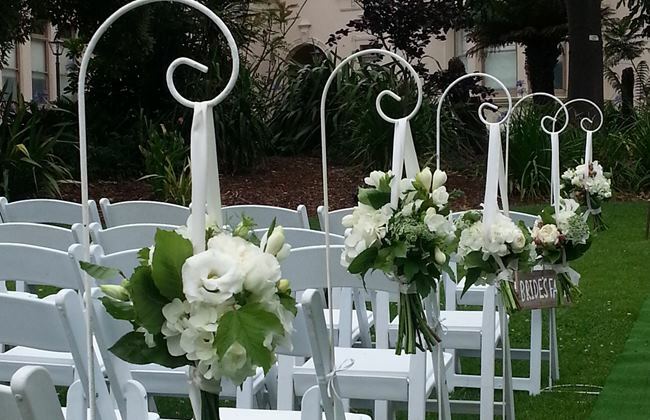 We can make and add fresh garlands to your wedding arbour. Perfect for the enchanted forest or woodlands wedding theme. The Rustic Wedding Backdrop. This backdrop is made of natural branches. 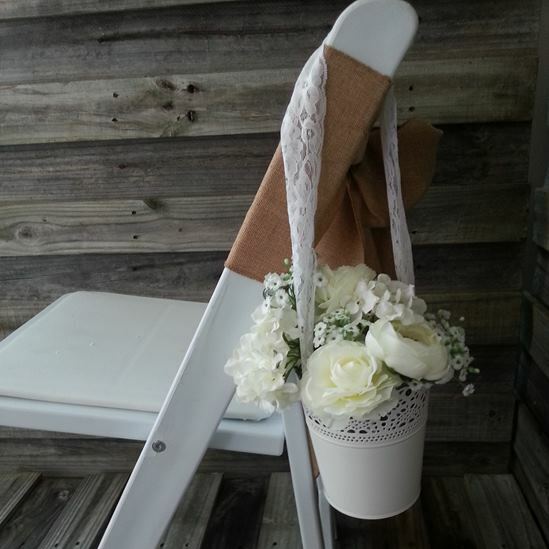 It Looks fantastic in a rustic farm setting or even on the beach. The arch has white draping material. hang from the arch are teardrop glass candle holders with orchids inside. Also Included is a hanging heart in the middle and flowers on each side. 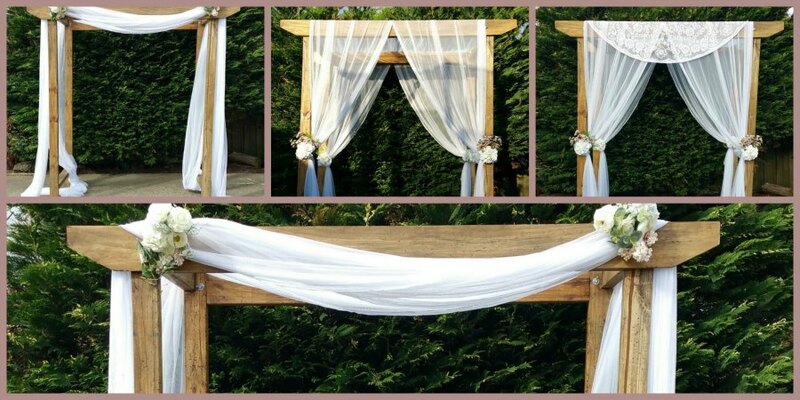 Over the years our Bamboo wedding arch has been one of our most popular wedding arches. The Bamboo wedding arch looks amazing in a beach wedding. Different colour arch materials can also be added to match your wedding theme. The bamboo arch is available in Blond Bamboo and Dark Bamboo. 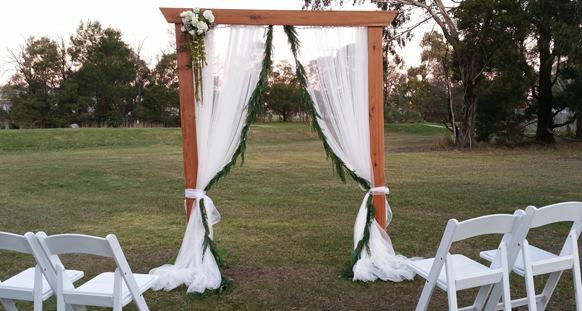 This arch is suitable for garden weddings and beach weddings. Our Bamboo canopy speaks for it self! 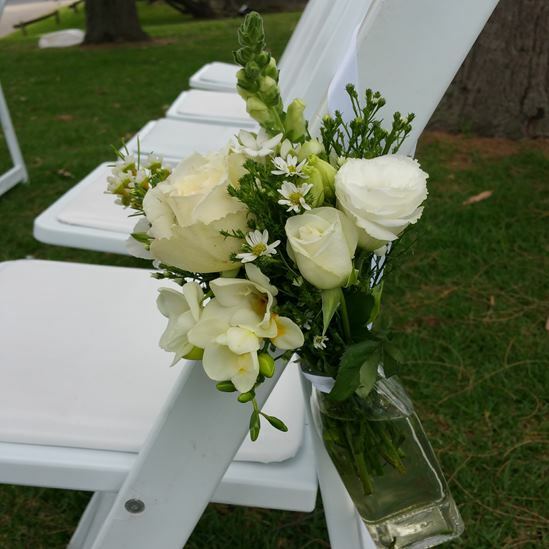 It is a stunning addition to any outdoor wedding ceremony. 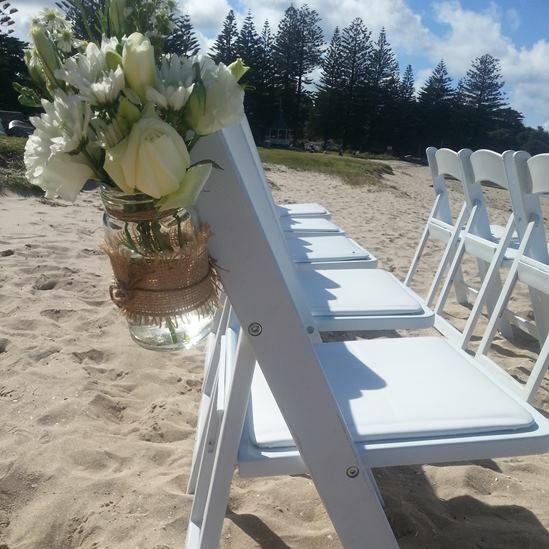 It looks gorgeous for both a beach or garden wedding ceremony. As Pictured here on the Mornington Peninsula. Shepherds hooks would probably be one of the most popular wedding aisle decorations that we have. The options on what you can hang from these shepherds hooks are endless. Try having scattered rose petals instead of a carpet aisle runner! Rose petals can give you more freedom with your colour scheme. Fresh Rose petals give you the feeling of royalty. White on White! There is nothing like a white wedding. Wedding ceremonies look beautiful all set up and decorated in white. For more wedding ideas have a look at our Facebook page. We are often posting pictures of our recent weddings. Please contact us for prices and delivery for weddings out of these regions. 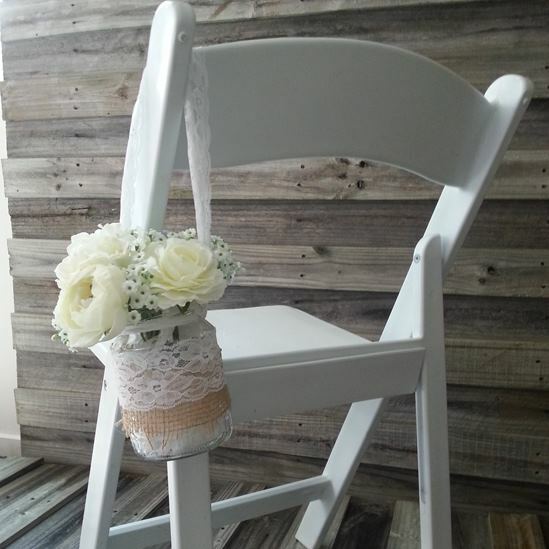 We are located in Hallam for your DIY wedding pick ups. 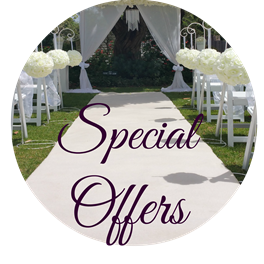 For more wedding ideas make sure you become a fan of our face book page we are constantly posting pictures of our recent weddings.